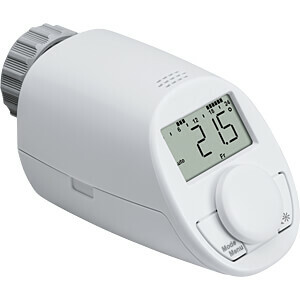 Heating controller, heating controller for time-controlled regulation of the room temperature, helps to save up to 30% energy. 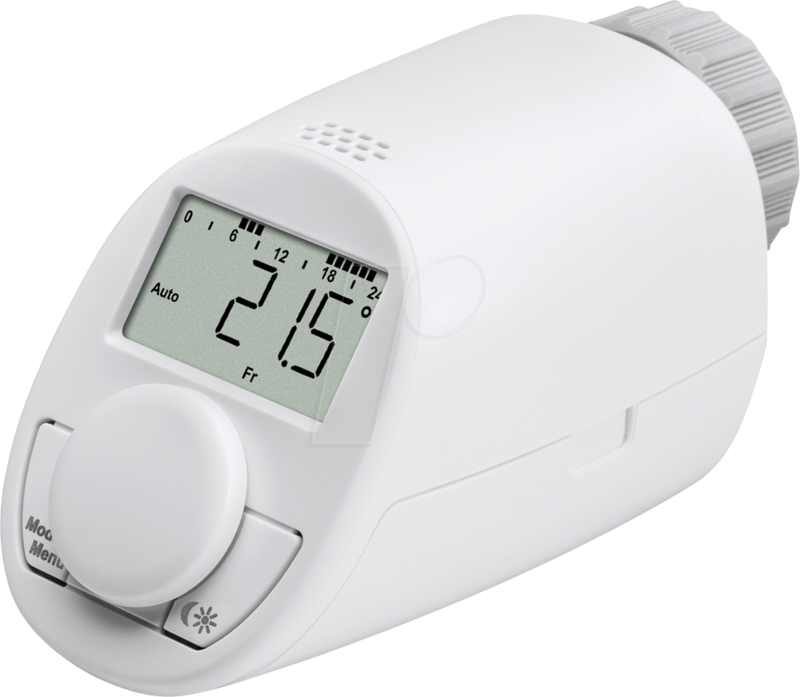 With the Eqiva Model N radiator thermostat, living rooms can be extended with effective, easy-to-operate temperature control in just a few simple steps. 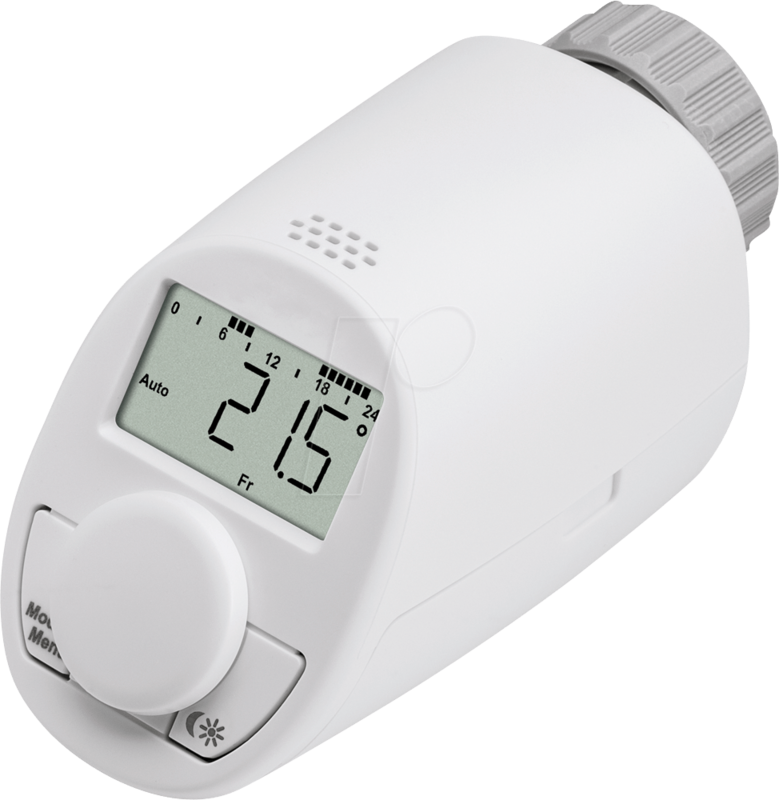 The slim radiator thermostat enables time-controlled regulation of the room temperature as well as exact temperature selection in 0.5 °C increments using the rotary knob on the front. Thanks to the diagonally mounted display, operation and display are conveniently possible at any time, even under unfavourable installation conditions, e.g. in radiator niches. 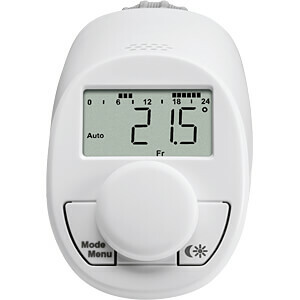 Both the precise temperature selection and the individually adaptable weekly programmes actively help to save energy and at the same time increase operating and living comfort. 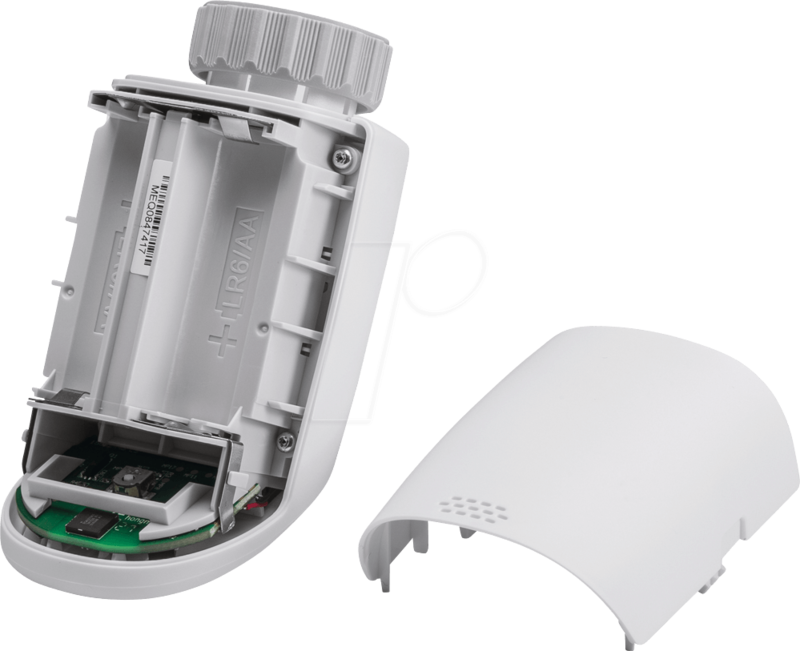 The temperature drop detection system, which automatically adjusts the radiator temperature during ventilation, also makes a major contribution to this. 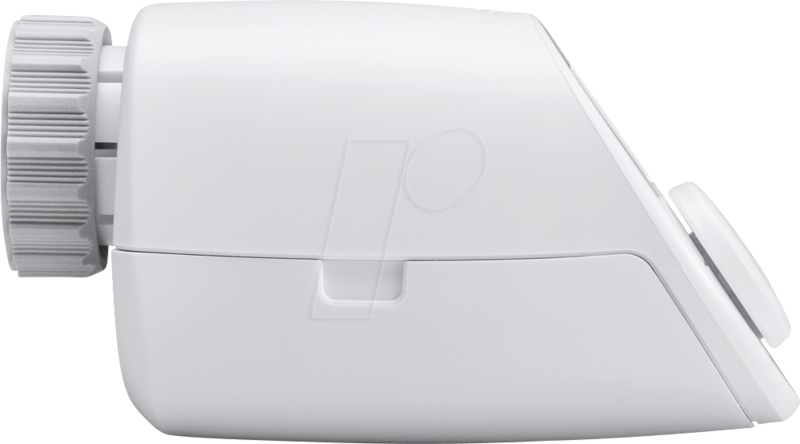 In addition, the integrated automatic frost protection protects the radiator from damage. 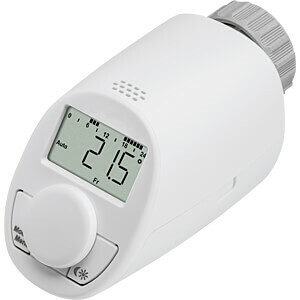 Since the radiator thermostat regulates the temperature at room level and directly on the radiator, no intervention in the existing heating system is necessary. Only the old thermostatic head must be replaced with the new one from Eqiva. No special tools are required and no water needs to be drained. Once calibration has been started on the valve by pressing the rotary knob, the device is immediately ready for use thanks to preset weekly programs. 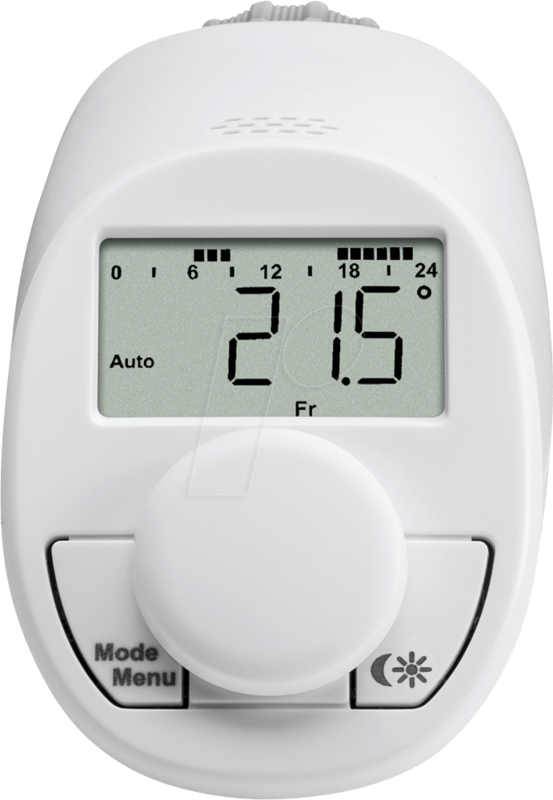 After commissioning, individual settings can be made conveniently using the buttons and rotary knob of the radiator thermostat. 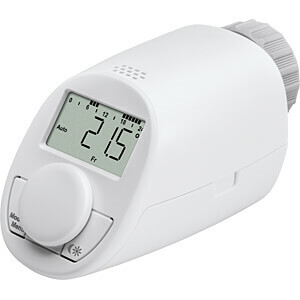 If the device is not used for a longer period of time during the summer months, the intelligent valve travel prevents the valve from calcifying. 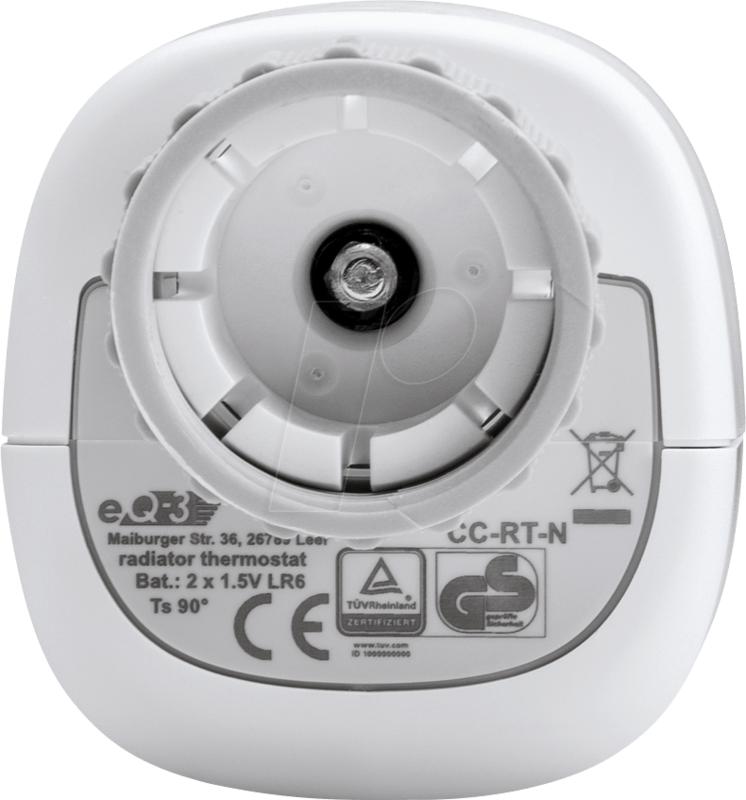 Thanks to its effective operation, two standard LR6 batteries (AA) are sufficient to power the thermostat for up to three heating cycles. 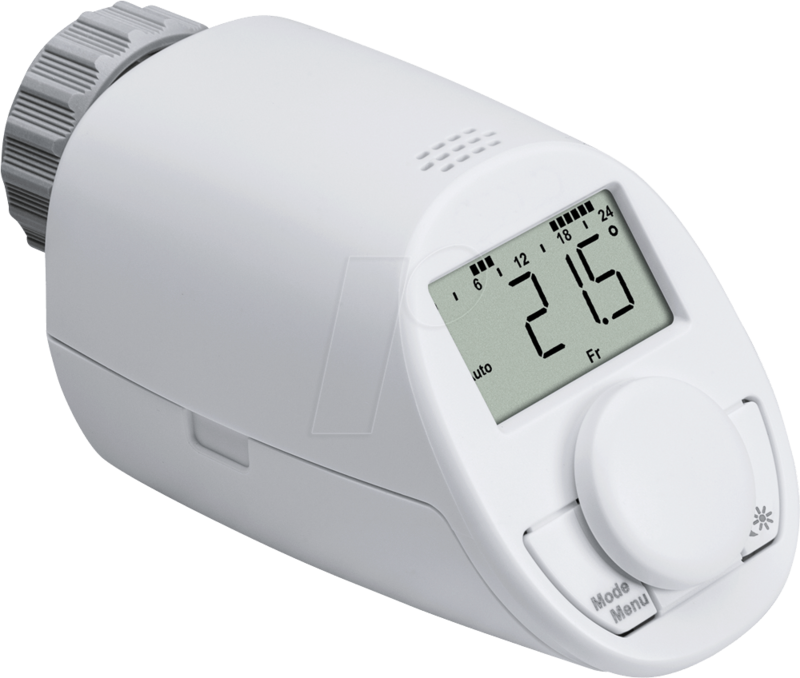 The slim radiator thermostat enables precise temperature selection and time-controlled regulation of the room temperature. Simple installation without draining water, without special tools and without interfering with the heating system. 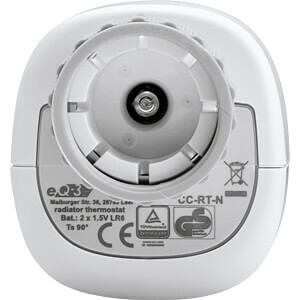 Suitable for the most common valve manufacturers such as Heimeier, Oventrop, Danfoss and Co. (Danfoss RA adapter included). 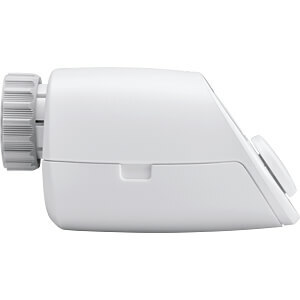 Immediately ready for use through preset programming, protection of the settings by a child safety lock/operating lock possible. 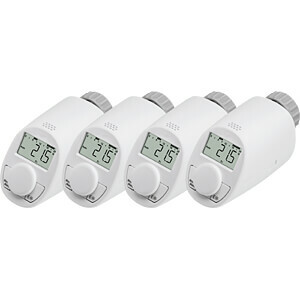 With integrated automatic frost and valve protection as well as temperature drop detection. Current consumption: 100 mA max. 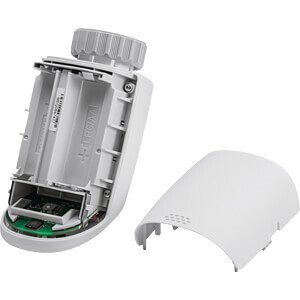 Adapter for Danfoss valves (RA), Danfoss (RAV) Please order adapter not incl. separately.